Vienna – city of music and dreams. Millions of visitors arrive each year to soak up the atmosphere of this magical city. But there is a secret Vienna – one the tourists rarely see. Hidden in the nooks and crannies of imperial palaces, ancient churches and magnificent gardens … other worlds exist. Vienna is not only one of the most livable places in the world for people, but also for animals. Wild boar, roe deer and badgers roam the spacious parks, while kestrels sometimes use the most prestigious imperial architecture as vantage points or nesting sites. Beavers and otters build their nests in the city’s streams and ponds. 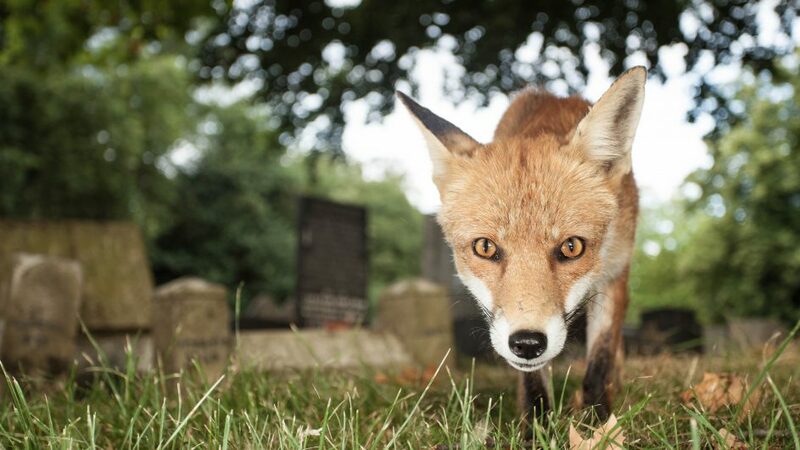 And at night foxes – 4,000 of them at last count – hunt for food in suburban streets. Vienna is also the proud capital of the European hamster. In just one park alone, scientists found more than 200 of these fierce little critters. Why Vienna? How can so many different types of wild animals exist in a city of nearly 2 million people? Because Vienna has an absolutely unique combination of ecosystems. More than 50 percent of Vienna is made up of green spaces, creating countless niches for wildlife. Parts of the city lie within the legendary Vienna Woods; while on its outskirts one of Europe’s largest wetland wildernesses spreads along the Danube and all the way to the Austrian border. Here, majestic sea eagles patrol the skies and flashy little kingfishers dive for their prey. More than 700 plant species, 30 species of mammals and 100 species of breeding birds have made the wetlands home. As the Danube winds through Vienna it parts at an island stretching over 21 kilometres. “Danube Island“ is man made, built to regulate destructive seasonal floodwaters. Most of the year it’s a huge public swimming pool – a haven for leisure seeking people blissfully unaware of the beady eyes that watch from puddles and ready marshes. In just a few decades, “Danube Island” has created its own special ecosystem where frogs, toads, and the rare European pond turtle live and breed. But there is also a dangerous invader here – a cousin to the turtle – the North American red-eared terrapin. This opportunist was released into the wild by irresponsible terrarium owners – and its numbers are growing! The waters of the Danube flow freely through the city and so too does the wine! Vienna is the only metropolis in the world with a substantial wine industry. Its vineyards not only yield choice wines but also a very special reptile: the extremely rare European green lizard. This brilliant, verdant-skinned creature basks in the sun along vineyard paths and uses the cover of grape leaves to hunt for spiders and insects. From vineyard to imperial palace, in hidden ponds and deep, shadowy forests, join us on a very special tour of Vienna – through the eyes of its wild inhabitants!